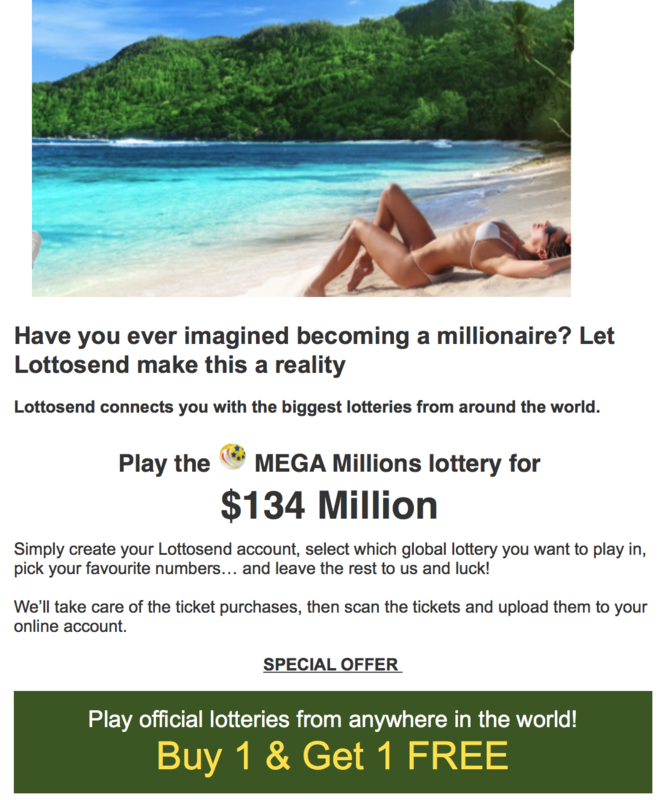 I received an email yesterday from Lottosend yesterday, promoting a service whereby they purchase lottery tickets to order. This the first I have heard of them. I can’t find any Australian news stories abut them. Their website has more details on the service. It all sounds to me complex and convoluted. I can’t understand why anyone would sign up for it. Especially how they handle prizes and cash withdrawals – as it it appears it is only then they check that you are who you say you are. I guess the lure of a big prize is a factor their business plan. 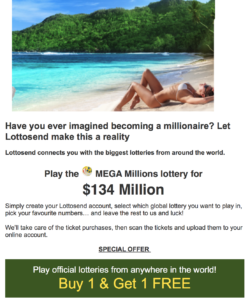 Lottosend is another player in the online lottery space. Their presence will continue to drive lottery shopper interest in online purchase. This is not good news for retail lottery outlets. My message to newsagents is to be aware of this new competitor and because of this to focus on customer service, demonstrating the value of face to face service. Just tried to play 12 games in Oz lotto $15mln tomorrow. It costs $50.07 vs $15.75 if i go in store or on thelott website. Me thinks lottsend wont have any impact. Next? While I think you are right in Aussie product purchase terms Jim, it adds voice to online purchase and mades overseas lotteries accessible in a form more traditional than betting. That said, the terms and conditions on their website should put people off. Mark said….. “the terms and conditions on their website should put people off” ? ?